Partial least squares path methods elicit only pairwise relationships between latent constructs, though they allude to a more complete “plausible” structure. In the 1950s, the Cowles Commission at the University of Chicago and in the 1970s Karl Jöreskog of Uppsala University extended structural equation model methods to incorporate all of the information in the covariance structure, in what are called full-information methods. These methods placed structural equation models on secure statistical footing, allowing confirmatory testing of models of latent constructs. 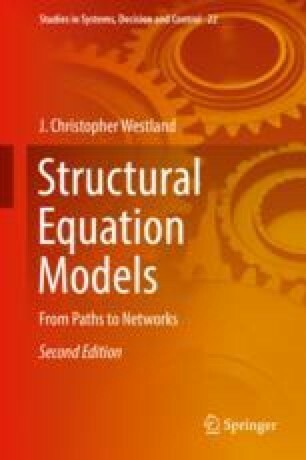 These models are substantially more complex than the crude methods used in PLS-PA, but provide performance measures that moved structural equation models from exploratory analysis into full-fledged hypothesis testing.